At the end of our last lesson about the gifts of the Holy Spirit, we asked the questions: What church did Jesus start and is that church still with us today? In this lesson, we will find out what a church is. We will also find out if Jesus started a church. Today, there are many Christian denominations or Christian traditions. To be a Christian means to be a follower of Christ Jesus. Many experts say that there are more than 30,000 different Christian denominations throughout the world today. Do we really need a church or 30.000 churches in our world? Here are some questions for you to think about while you read through this lesson. What do we call the sheepfold of Christ? How does our Lord help his sheep? Why did our Lord choose twelve apostles? Which apostle did Jesus pick to be the leader of the apostles? Who takes our Lord's place, today, as the shepherd of the Church? 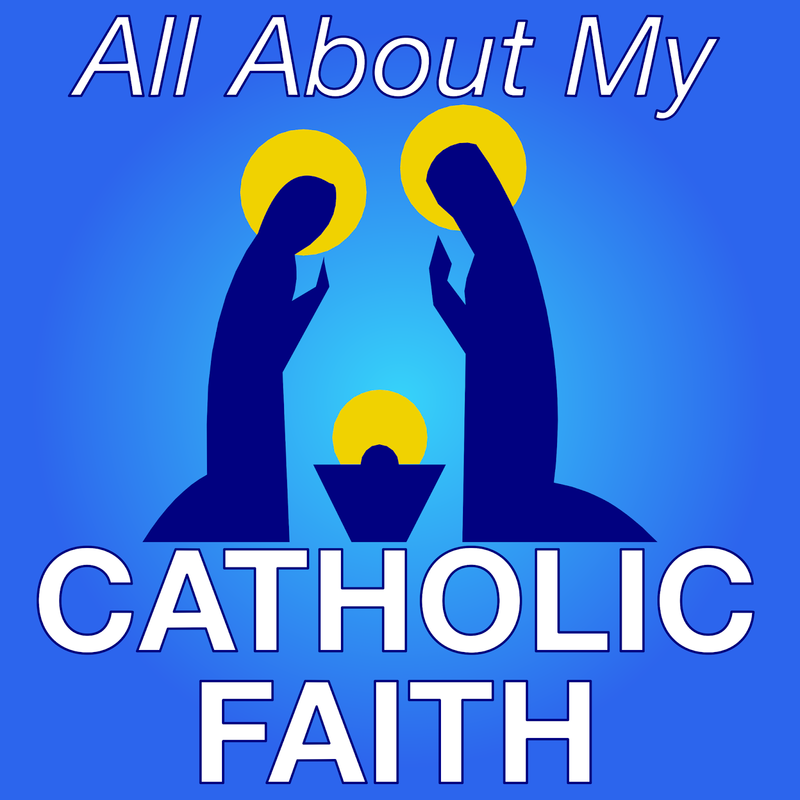 In the Apostles Creed that we've been learning about, we say: “I believe in the Holy Catholic Church." Let's read something from the Holy Bible to see if we really should be believing in the Catholic Church, or any church for that matter. Here is a reading from the Gospel of St John, chapter 10: 1-11. “Amen, amen, I say to you, whoever does not enter a sheepfold through the gate but climbs over elsewhere is a thief and a robber. But whoever enters through the gate is the shepherd of the sheep. The gatekeeper opens it for him, and the sheep hear his voice, as he calls his own sheep by name and leads them out. When he has driven out all his own, he walks ahead of them, and the sheep follow him, because they recognize his voice. But they will not follow a stranger; they will run away from him, because they do not recognize the voice of strangers.” Although Jesus used this figure of speech, they did not realize what he was trying to tell them. So Jesus said again, “Amen, amen, I say to you, I am the gate for the sheep. All who came [before me] are thieves and robbers, but the sheep did not listen to them. I am the gate. Whoever enters through me will be saved, and will come in and go out and find pasture. A thief comes only to steal and slaughter and destroy; I came so that they might have life and have it more abundantly.I am the good shepherd. A good shepherd lays down his life for the sheep. Jesus is telling us in this reading, in order for us to be saved from going to hell after we die, we need to follow him. He also said that he is the gate, and that whoever enters through him will be saved. When shepherds are in the field with their sheep, they often have a gate they open to let the sheep go into a place of safety. Jesus is telling us that we can enter that safe place by going through him. He is the gate and our Good Shepherd. Christ will teach his sheep, feed his sheep, heal his sheep’s wounds, and guide his sheep to heaven. Who are the sheep of Christ? That's right, you and I are his sheep. Here we read about Jesus and Peter talking with one another. Peter tells Jesus that he loves him three different times. Jesus tells Peter to take care of and to feed his sheep three different times. Did you catch that? Jesus told Peter to take care of his sheep? He didn’t give that specific direction to any of the other apostles, only to Peter. Jesus really did start a church while he was here on earth. He picked a group of twelve men to help him with his church. These twelve men were called his apostles. Jesus was talking to his apostles and was telling them to go to all areas of the world to teach all the people. He told them to preach what he had taught them. He also taught them to baptize everyone that they could. The Church of Jesus is a group of people who believe in him, believe and follow all the truths that he taught, and are baptized in the name of the Father and the Son and the Holy Spirit. You might be wondering why Jesus would start a church. His main reasons were so that we could follow his teachings, and be able to make it to heaven one day. In the Gospel of Matthew, we hear Jesus asking his disciples a very important question. Peter was one of the apostles of Jesus. We read in that reading that Jesus selected Peter to be the first leader of his Church. The rest of the apostles were known as the bishops of the Church. Jesus had already told the apostles to go out to the whole world to spread his Church. Now, he has selected a leader for that one Church. The apostles, or bishops of the Church, were given the power from Jesus to be the rulers and the leaders of his Church. The bishops selected priests and deacons to help bring the message of Jesus to even more people. As more churches started around the world, there was a need for more bishops and priests. The Church has had a leader continuously since Jesus gave the keys of the Church to St. Peter nearly two thousand years ago. After St. Peter was crucified, the bishops chose the next leader. Every time since then, when the leader of the Church has died, the bishops have gathered together to choose a new leader under the guidance of the Holy Spirit. We have always called the leader of Jesus Christ’s Church, the Pope. The word pope means papa or dad. 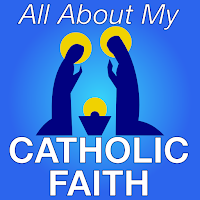 The Pope is not just the leader of the Church, he is also our dad or father in the Church. In those days he departed to the mountain to pray, and he spent the night in prayer to God. When day came, he called his disciples to himself, and from them he chose Twelve, whom he also named apostles: Simon, whom he named Peter, and his brother Andrew, James, John, Philip, Bartholomew, Matthew, Thomas, James the son of Alphaeus, Simon who was called a Zealot, and Judas the son of James, and Judas Iscariot, who became a traitor. This is also from Luke when Jesus sent the apostles out into the world. He summoned the Twelve and gave them power and authority over all demons and to cure diseases, and he sent them to proclaim the kingdom of God and to heal [the sick]. He said to them, “Take nothing for the journey, neither walking stick, nor sack, nor food, nor money, and let no one take a second tunic. Whatever house you enter, stay there and leave from there. And as for those who do not welcome you, when you leave that town, shake the dust from your feet in testimony against them.” Then they set out and went from village to village proclaiming the good news and curing diseases everywhere. As you have read in the Bible and throughout this lesson, Jesus started his Church so that you and I can make it to heaven one day. He selected twelve of his disciples to be his apostles to lead his Church, to take his message to the whole world, and to baptize everyone who wanted to follow his teachings. The apostles needed a leader after Jesus ascended to heaven, so Jesus picked Peter to be their first leader, the first pope. There was only one Church of Jesus back then, led by the Pope and the apostles and the bishops. That one Church is still here today, two thousand years later. That Church is still led by the Pope, The Vicar of Christ. In our next lesson, we are going to get a little deeper into this. We will learn more about the Church that Jesus started.